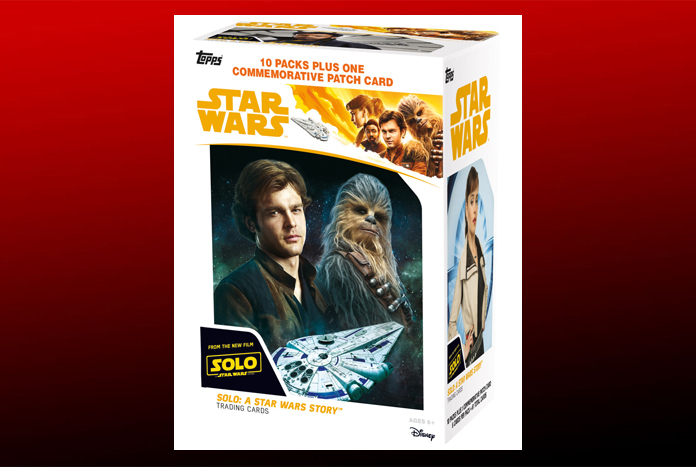 Information on the Solo: A Star Wars Story trading card series set to arrive from Topps has been posted on Beckett’s website. 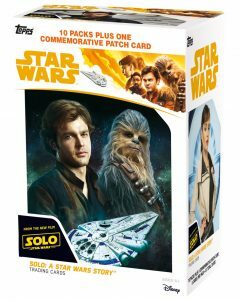 According to their post, the base set will be comprised of 100 cards broken down as 8 cards per pack, 24 packs per box, and 12 boxes per case with a release date set for April 20. 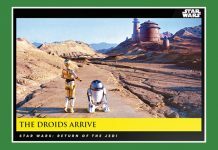 Topps is also the manufacturer of the 12-card set that fans can purchase exclusively from Denny’s. Check out all the details copied below. The base set clocks in at 100 cards. 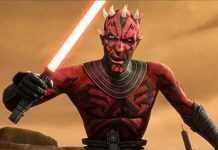 It’s a mix of characters, story elements and artwork from the production. Not much is known about Solo thus far other than it stars Alden Ehrenreich as a younger version of the iconic Han Solo. 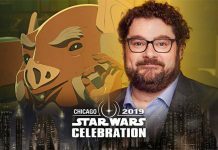 Chewbacca, Lando Calrissian (Donald Glover) and several new faces are also part of the prequel spinoff. Parallels play a big part of the checklist with one Yellow card landing in every hobby pack. Other levels include Black (1:2 packs), Silver (1:4), Pink (/99), Orange (/25), Gold (/10), Imperial Red (1/1) and Printing Plates. Gold and Red are both hobby exclusives. 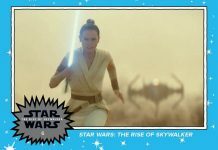 2018 Topps Solo trading cards do have autographs and they’re from the film’s stars. No list has been released, though. Autograph parallels come in Pink (/99), Orange (/25), Gold (/10), Imperial Red (1/1) and Printing Plates. On the much more rare side of things are Dual and Triple Autographs. Duals have Gold (/5) and Red (1/1) versions while Triple Autographs have just Red (1/1) parallels. If a hobby box doesn’t have an autograph then it has a sketch card. These all have original art. Characters from the film are the art subjects. 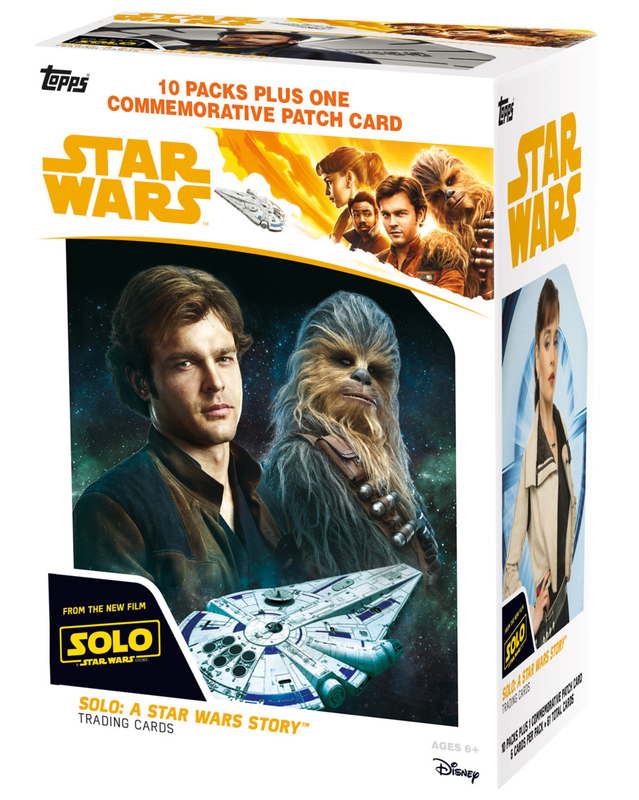 2018 Topps Solo: A Star Wars Story trading cards also have manufactured patch cards. Like the sketches, these are also character-based. In addition to the base version, there are Pink (/99), Orange (/25), Gold (/10) and Imperial Red (1/1) parallels. 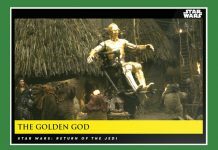 No images have been released thus far to showcase what the cards look like. 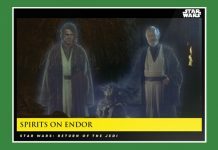 This has been standard for Star Wars sets based on the new films. We’ll keep you posted with any new information in the months ahead.